The 2019 NASSP/NAESP Joint National Principals Conference for professional development will be held on July 18-20, 2019 in Boston, MA. This is a great chance to learn and network with other elementary, middle level and high school principals from around the nation. If you are interested in attending this year's conference, the registration link is HERE. 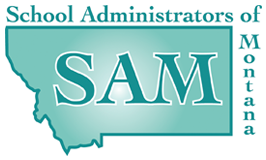 Contact Kimberly Scofield, Director of Member Services and Professional Learning at [email protected] so that we can add you to our list of attendees and keep you updated as to activities of the Montana Delegation. Carole McKittrick, MAEMSP State Coordinator, will send out periodic updates of activities as well. Questions? Contact Carole McKittrick at [email protected] or 406-268-7305.